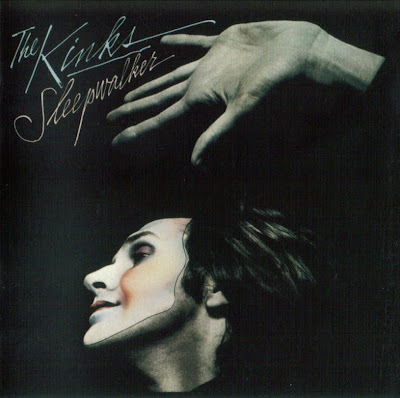 Sleepwalker is a 1977 album by the English rock group, The Kinks. It marked a return to straight-ahead, self-contained rock songs after several years of concept albums. It is the first album in what critics usually call the "arena rock" phase of the group, in which more commercial and mainstream production techniques would be employed. The line up of The Kinks would be trimmed downed significantly in 1977 following the album's release, as the brass section and backup singers were removed and the band returned to a standard rock band outfit. Dave Davies: lead guitar, backing and harmony vocals, lead vocals on "Sleepless Night" and "Juke Box Music"
Andy Pyle: bass on "Mr. Big Man"